As luck would have it, food combining queen Lauren had just posted a low-fat, vegan pesto that I was happy to try out. Verdict? Success. Not only is it quick, healthy and light, it’s also much less expensive than making traditional pesto. I remember a friend once gave me several bunches of basil from his garden. Inspired to make some pesto, I ran out to the store for Parmesan and pine nuts. Twenty-five dollars later, I realized it would have been much cheaper to just buy a tub of pesto from the market. Oh well. If you’re not on a cleanse, or not into raw zucchini noodles, this also works on traditional pasta or even whole grains. The other night I mixed some quinoa and hemp seeds with the pesto and topped it all with a spinkling of Parmesan. So so good. 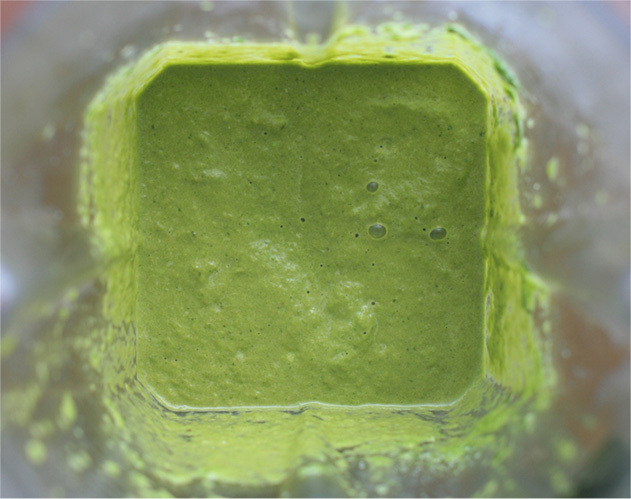 Combine the olive oil, basil, garlic, zucchini and water in the base of a blender. Process until nearly smooth, adding additional water if necessary, and then add the baby spinach. Continue to process until smooth and creamy. Add plenty of salt and pepper- you’ll know you’ve added enough when the flavors pop. 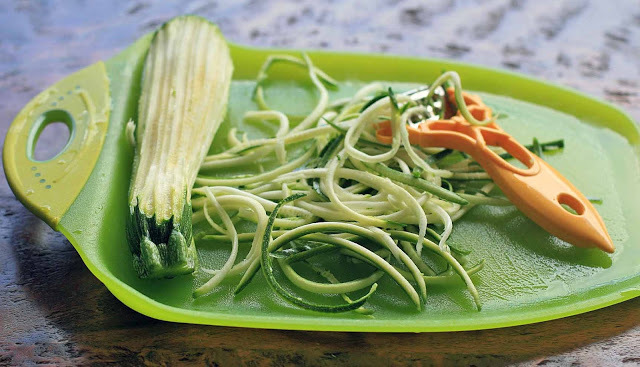 Drag a vegetable peeler along the zucchini to create long, spaghetti-like noodles. 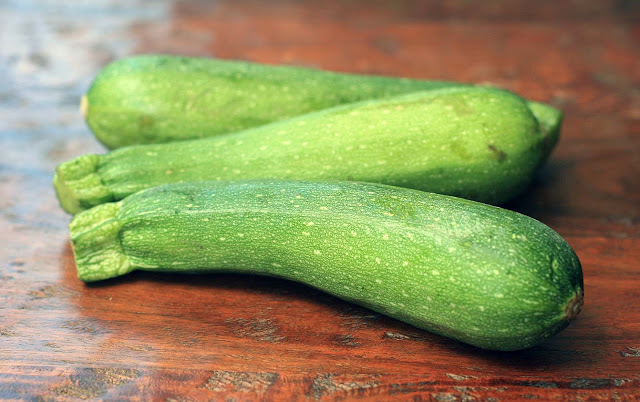 Rotate around the zucchini, and continue to peel into noodles until you hit the seeds. Repeat with the remaining zucchini. 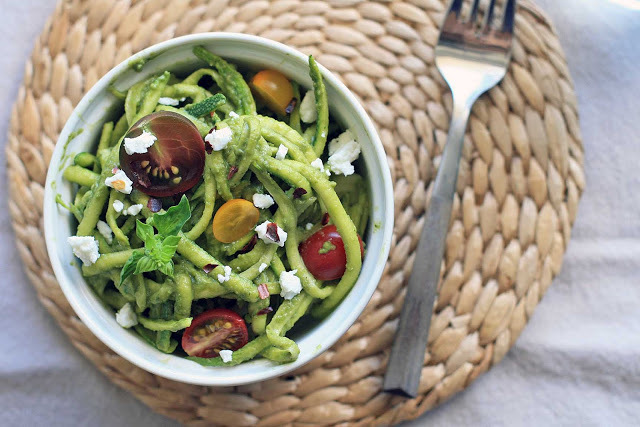 Place noodles in a large bowl and pour in desired about of pesto. Toss to coat the noodles. 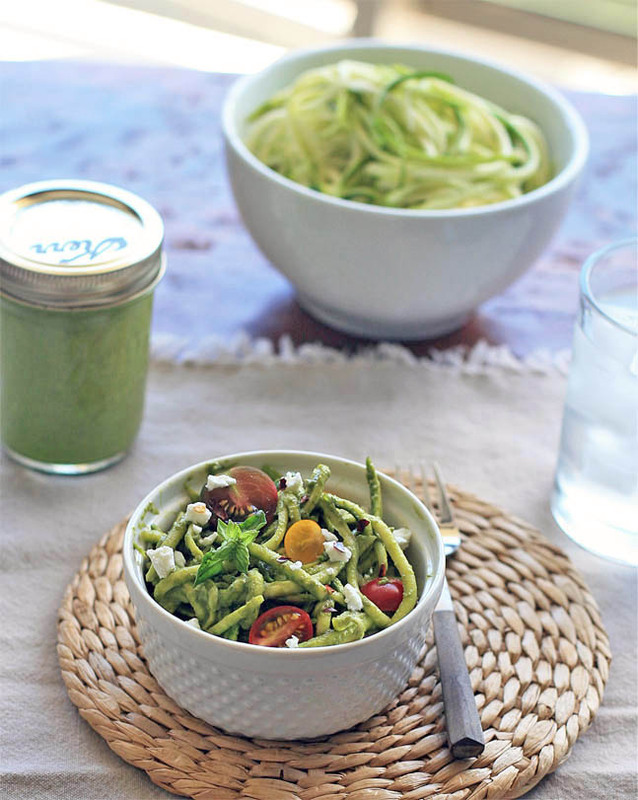 Transfer to individual bowls and top with tomatoes and goat cheese or Parmesan. Note: You’ll end up with more pesto than you’ll need for these two servings, so you’ll have plenty of extra sauce leftover for fish or pasta.